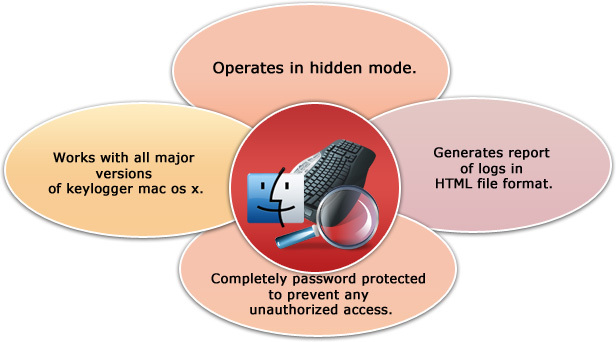 MAC Key logger software easily captures entire Mac OS X typed key strokes including email IDs, passwords, chat conversations, Skype video screenshots , typed documents, visited websites and other system activities in stealth mode. 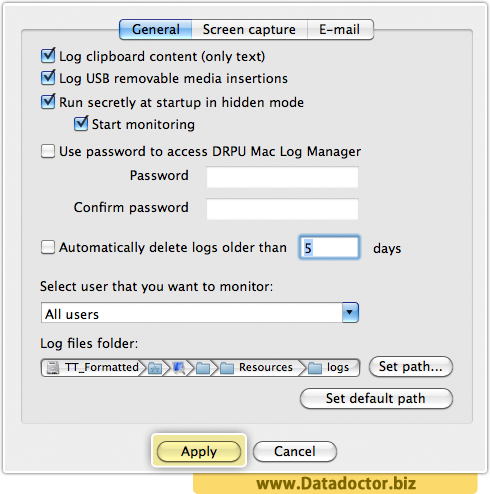 Software has facility to generates log reports of overall Mac installed OS X activities of the external user in HTML or Text file format. Mac surveillance tool runs concealed in the background and cannot be seen in the ‘Add remove program list’, ‘System startup’, ‘Program menu list’ or even you can hide the installation folder path so that user is unable to detect the key logger application installation on your machine. 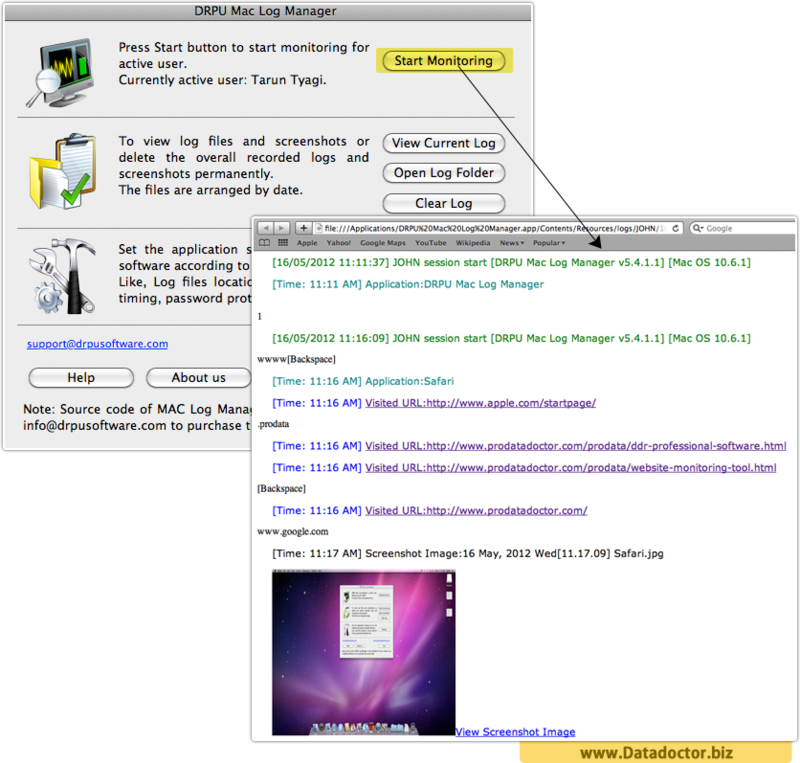 Start monitoring your MAC OS installed machine. Select General option to select options that you want to monitor and choose path where you want to save log details. 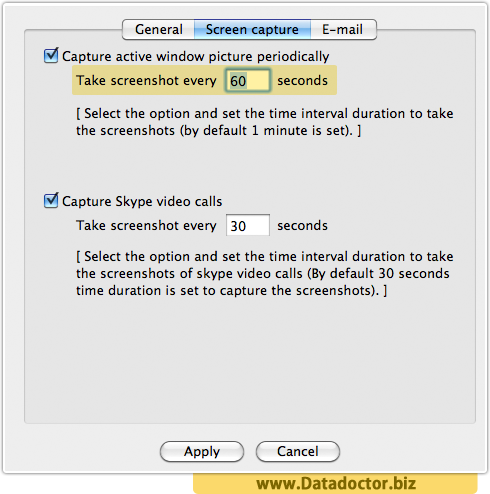 In screen capture option, set the time interval duration to capture screenshots. 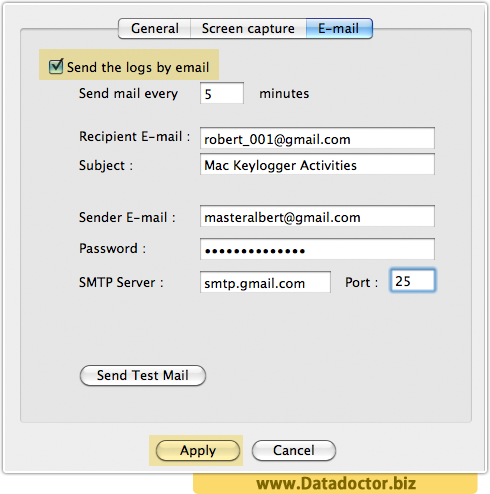 In E-mail tab, you can specify your email id and time interval to get log details of your system.